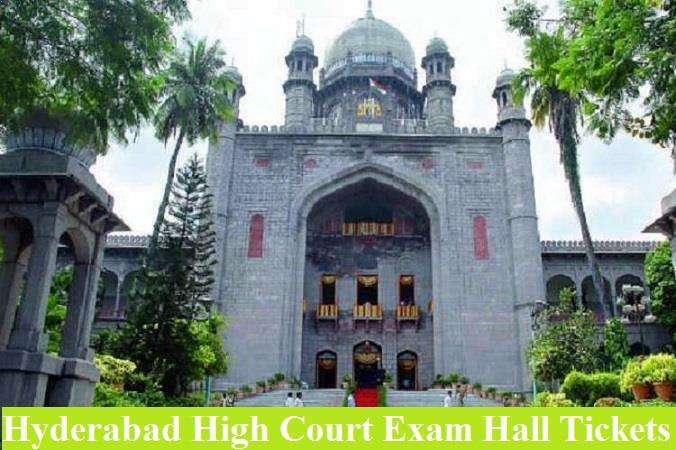 In one of the notices of Hyderabad High Court, the management had talked about the Civil Judge (Junior Division) 2019 Recruitment. An exam in reference to the accepted online applications will be sked for the concerned applicants. Latest: High Court of Telangana has published 67 posts notification for Civil Judge Direct & Transfer Recruitment. The computer-based Test (CBT) will be conducted on 11 May 2019 from 03:00 PM To 05:00 PM. Candidates can download Civil Judge Hall Tickets starting 24 April 2019. Candidates, those don’t receive their e-admit cards through Mail can download it online via the above-mentioned portal. In order to secure this computer-generated doc., one will just require entering his/her name as it appears on the submitted copy of application form. If still there is an issue pertaining to the hall ticket’s procurement, please reach out to officials via Email Support at [email protected] Know more about the selection process – Screening, Written, Viva (Interview) from the below sections. Interested aspirants putting up with essentials prerequisites have made the provisional registrations by online/offline means not a long ago. What all of them will be concerning about this time is study material that can fulfill their expectations in regards to exam preparations. To give a clear picture of this, structure & syllabus of High Court Jr. Civil Judge has been provided ahead. Check this out for written & Viva-Voice both. An objective type exam containing four sections will be conducted if applications exceed 10 times higher than the total posts. All the questions must be answered in English Language only. Shortlisting of candidates will be done at a ratio of 1:10 level. Viva-Voice: 20 marks of this exam will be assessing the candidates’ – Communication Skills, Academic Knowledge, Ability to take care of various situations in the Court. The admission ticket in original form has been dispatched to eligible candidates. Key Elements like Center of examination, Location, Reporting Time etc. will be available on the hall-ticket itself. Again, if by any chance the admit card doesn’t reach to you then you may take a hold of it by visiting the official website. Prompt action shall be taken for the discrepancies and errors if there are seems to be any. Important Note: Please bring one of your identity proof such as Aadhar Card, Voter’s ID, Passport, Driving License etc. at the test center. Candidates, those are not able to verify the required documents, won’t be permissible to appear in the exam. Thus, ensure to go through the instructions of an e-admit card.